The Indian Railways on Monday announced that the old Yamuna Bridge 'Loha Pul' has been temporarily closed for rail traffic as the water level reached around 205.53-meter mark. Due to the closure of the Yamuna Bridge, at least 27 passenger trains have been cancelled while seven have been diverted. 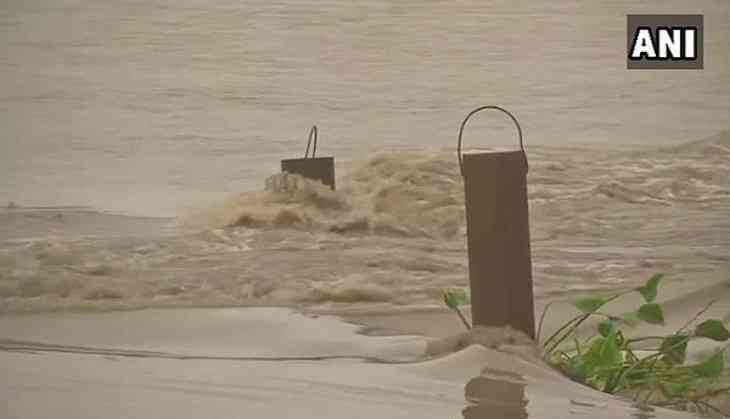 Meanwhile, due to less availability of shelter homes, families residing near old Yamuna Bridge in the national capital are allegedly forced to stay on roads as they were evacuated from their homes after the water level of the river crossed the danger mark. On a related note, the District Magistrate (DM) of East Delhi, K. Mahesh earlier on Sunday ordered the closure of traffic on the old Yamuna Bridge with immediate effect after flooding in river Yamuna crossing water level crossed danger mark. On Sunday, the water level touched 205.46 metres, reaching beyond the danger mark of 204.83 metres.